At Hawaiian Shaved Ice, our specialty is providing premium flavors that have been hand-picked for their distinct tastes. With our delicious blackberry sno-cone syrup, you can enjoy a unique snow cone flavor that has a rich and true taste that is simply mouth-watering. 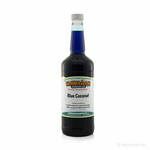 Our blackberry snow cone syrup features a gorgeous dark purple color and a fruity blackberry flavor that will have you hooked from the first time you try it. 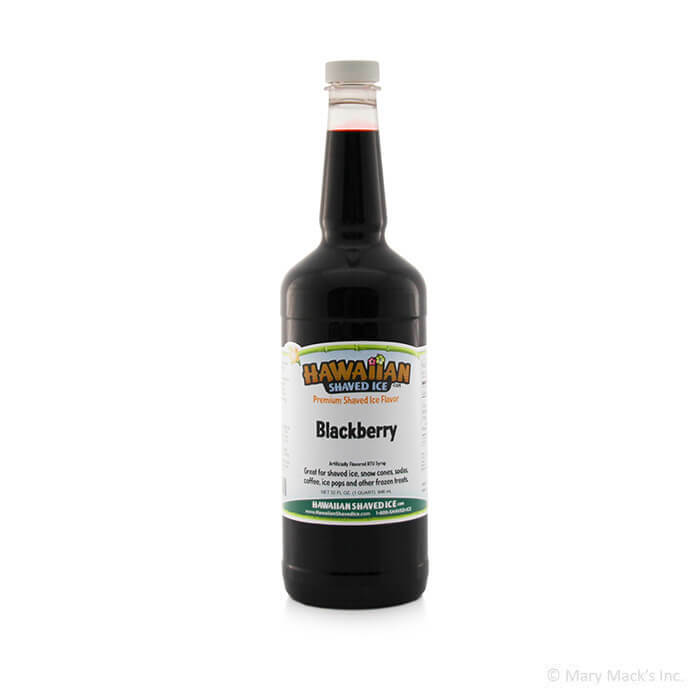 This product comes ready-to-use so that you can start your very own taste test with our blackberry sno-cone syrup right away. We�re sure that our blackberry sno-cone syrup will become one of your new favorite flavors in no time. Hawaiian Shaved Ice offers blackberry snow cone syrup in a 32-ounce quart size and gallon size. Like all our flavors, our blackberry sno-cone syrup is ready to use upon arrival and can be ordered as part of a multi-pack with other flavors for additional savings.